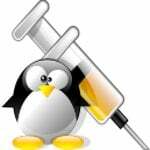 Introduction: It is true that the Linux server security is an essential task for sysadmins. One of the most fundamental ways to keep server or desktop secure is by installing security updates to patch vulnerabilities on time. 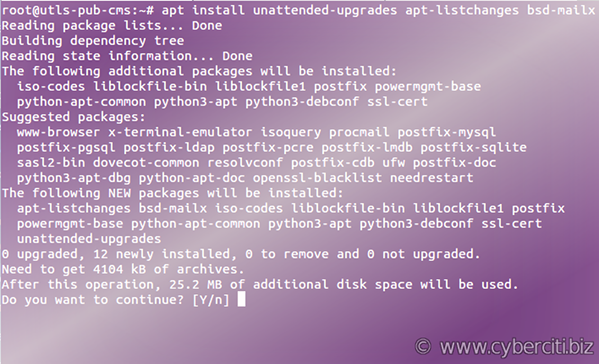 One can use the apt-get command or apt command to install security updates. 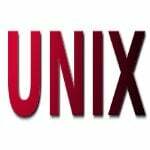 This page shows you how to configure Ubuntu Linux system to install security updates automatically when released by Ubuntu security team. You may be wondering why do I need an unattended way and installs security updates? 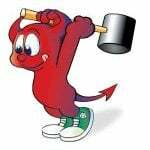 Applying updates on a frequent basis is an important part of keeping systems secure. 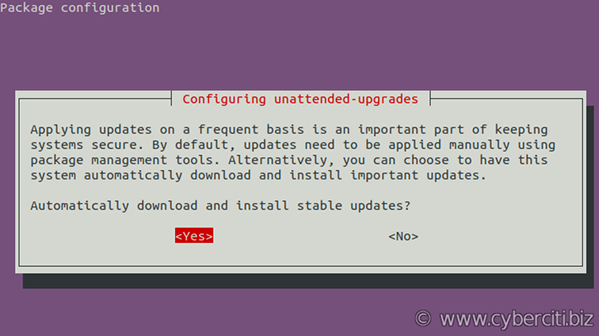 By default, updates need to be applied manually using package management tools. 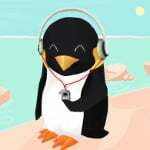 However, you can choose to have Ubuntu automatically download and install important security updates. Warning: Some security risks associated with running unattended software upgrades without supervision do exists, but there are also benefits. Use your judgment when in doubt. 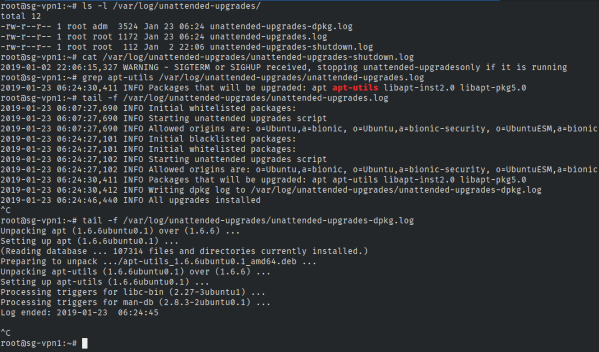 Automatic updates from the unattended-upgrades package on Ubuntu Linux trigger an email. 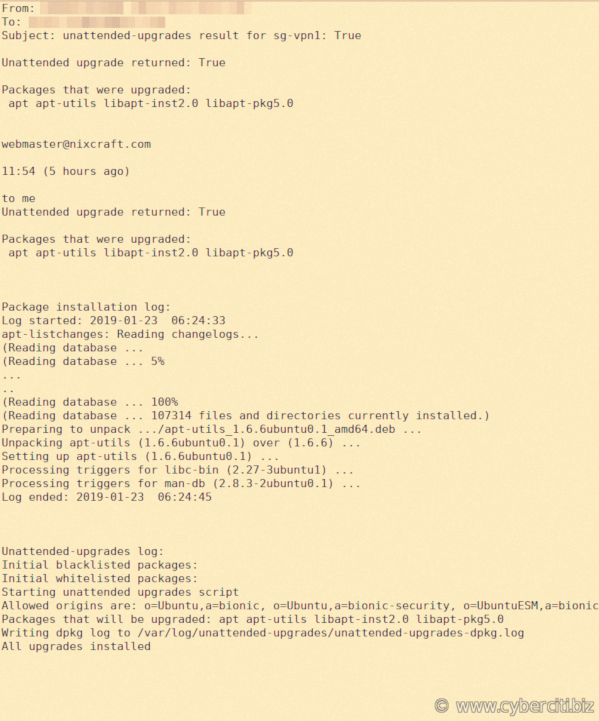 You learned how to install and configure the unattended-upgrades package to automatically install updated packages, and can be configured to update all packages or install security updates. For more info see this page. Tested with Ubuntu 18.04.1 too. Worked like a charm.